What's 2+3? Not 7. If this is what your reporting dashboard is telling you, we can help. Business Intelligence is all about answering a question, however we still need to make sure we are asking the right questions and that the answer is unbaised, accurate and relevant. We have helped our clients in US and Europe define the right metrics and then use the results to drive profitability across a number of domains like retail, health care and IT. We are experts in database and data warehouse design, we can build solutions from the ground up or rebuild your enterprise matrix. We cater to a wide variety of industries including retail, entertainment, healthcare, IT, etc. and use cutting edge technology to create websites that are beautifully designed and user friendly. Our creative designers deliver innovative and attractive designs keeping your business in mind. 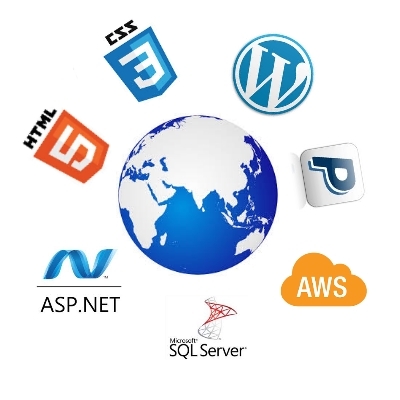 We develop web applications, websites and apps that are highly scalable enabling you to grow, change and experiment without thinking about website. Database Systems are expensive , the data they contain even more so. Protecting the data platfrom from external threats and ensuring they are always available to the business are critical. However in most companies it is not part of the core revenue stream and therefore an expense with low returns. Outsourcing your database management and administration to Enabled Business Solutions allows you to focus on your core business at a substantially low cost.